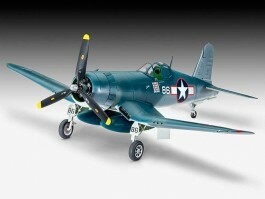 The Corsair is considered to have been one of the U.S. Navy's best World War 2 fighter aircraft. It was feared by its Japanese opponents who nicknamed it Whistling Death . Corsairs fought in the Pacific theatre from 1943 to 1945, scoring record-breaking successes. The Corsairs combined fire-power consisted of six 12.7 mm Browning machine guns.